Having a big-tent mentality is challenging. Welcoming companies with different business models, requires you to understand the different philosophies, motives and expectations. It requires patience to work through differences when there are strong reactions to challenges, laws and regulations in the market. Michelle Korsmo’s legacy at ALTA will be the creation of an extremely big tent! By embracing ALTA’s mission of improving the skills and knowledge of those in the industry, advocating for member concerns and standardizing products for industry use, Michelle tirelessly worked to serve all companies in the industry, focused on their common issues, to help prepare them to be successful in a changing marketplace. Michelle’s leadership helped us navigate through challenging conversations—not to change our minds but to share ideas and to find the best path forward for the industry. This inclusion has resulted in a strong community and foundation. Effective leaders don’t drift from one place to another. Michelle had a plan to impact key segments of the industry that would in turn influence others. Michelle and her team worked closely with the state land title associations and reached out to other trade groups involved in the mortgage and real estate transaction. ALTA has embraced the various methods of conducting business. Our tent is diverse. 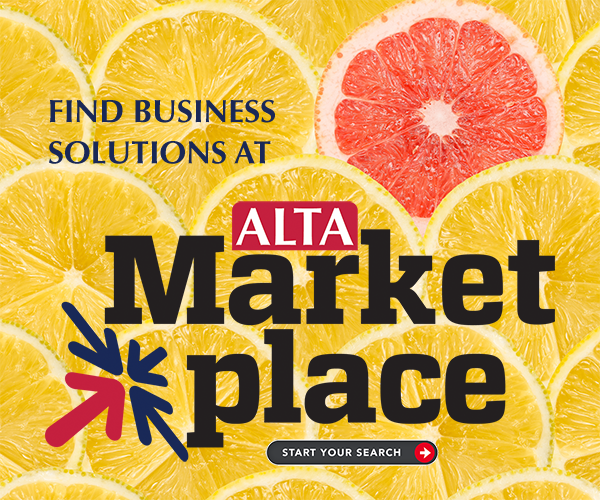 From single-person shops and small law firms to publicly traded companies and entities that conduct business nationwide, ALTA members operate in every U.S. county leading, delivering and protecting. Michelle worked with her team and ALTA’s Board of Governors to chart the course for the industry’s continued success. Because of this, we’re prepared to confront challenges. We’re positioned to help drive innovation in the title and closing space. We’re excited for what’s next. Members of the Board and I wish Michelle future success in her new position. Although she will be missed, our association is strong because of her leadership. Our big tent stands tall! To see first-hand just how strong the industry and ALTA is, I encourage you to join us at ALTA ONE in Los Angeles, Oct. 9-12. Steven G. Day NTP, president of national agency operations for Fidelity National Title Group, is ALTA’s 2018 president.